Why Garco? 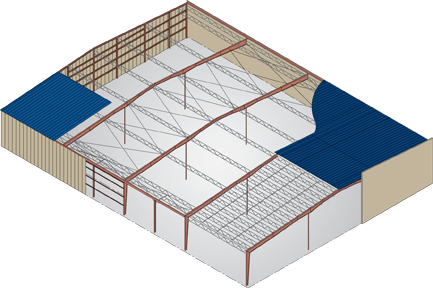 Because Garco continues to provide top quality metal building systems and metal roofing systems for all types of projects, just as we have for over half a century. Garco has stood the test of time. More than 50 years of technological advances within the industry have been incorporated into our buildings, and exemplary service with high-end results is no less important to us today than it was in 1958. We stand for accuracy, professionalism and quality, the integral components of any great company. Constructing with steel offers great flexibility of design choices in addition to the great cost savings over building in wood. Below are the frame types that we have available.